Aug. 29, 2018 ( Courtesy of CBC.ca ) – The regulatory council for Canadian immigration consultants is moving to suspend the licence of former Edmonton MLA Carl Benito, following a CBC News report that revealed Benito is the target of an immigration-fraud investigation by the Canada Border Services Agency. The Immigration Consultants of Canada Regulatory Council (ICCRC) is seeking an interim suspension of Benito’s licence while it conducts a further investigation that could result in a permanent revocation of his licence. The ICCRC is the national body that, by federal law, regulates all individuals providing Canadian immigration, citizenship, and international-student advising services. Benito became an immigration consultant after leaving provincial politics in 2012. In his marketing, he touts his time as an MLA and his membership with the council. Earlier this month, CBC News revealed that Canada Border Services Agency (CBSA) had raided Benito’s home and office in late June, seizing more than $250,000 in cash — mostly bundles of hundred-dollar bills stashed in two floor safes — as part of an investigation into what the agency alleges was a three-year immigration fraud scheme. “In cases where we have received information from a reliable source, such as a government agency, such as the CBSA, and if the nature of the allegations are severe and we feel like there is an ongoing and continuing risk to the public, then we would take measures to restrict the practice of the member immediately, on an urgent basis,” said Michael Huynh, director of professional conduct. “But in cases where the risk is high to the public, and there is a fear that other consumers of immigration services might be victimized by the immigration consultant, then we would take on these additional measures such as suspending the member right away,” Huynh said. An interim suspension means a consultant can’t practise. Huynh said there are also situations where a complainant may have been “complicit” in the immigration consultant’s activities, which may make them reluctant to testify for fear of compromising their status. The CBSA search-warrant documents detail how Benito’s alleged schemes worked. The agency alleges Benito was counselling immigrants whose work permits were expiring to apply for study permits involving two small private Edmonton colleges, knowing his clients had no intention of attending. The documents reveal this alleged fraud hinged on a scheme in which Benito, or one of his companies, arranged for up to $20,000 to be transferred into his clients’ bank accounts, and then transferred out, sometimes almost immediately. This allegedly created false proof that the clients had the necessary funds to support their education and living costs. 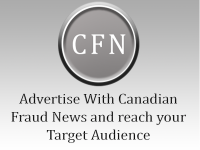 “This is being used as a mechanism to buy more time in Canada allowing the applicant to benefit from implied status until the application is decided upon,” the CBSA investigator stated in a search-warrant application. An investigator’s analysis of work permits submitted by Benito on behalf of clients between Jan. 1, 2016, and March 29, 2018, found 96 were incomplete.